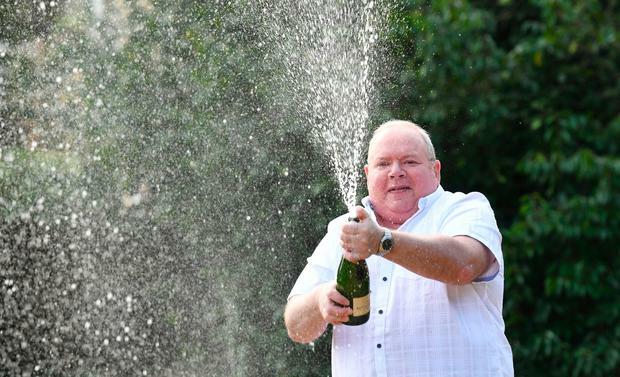 A £71m (€82.m) EuroMillions jackpot winner who is quitting his factory job and planning a spending spree says he is "the happiest bloke you could imagine". 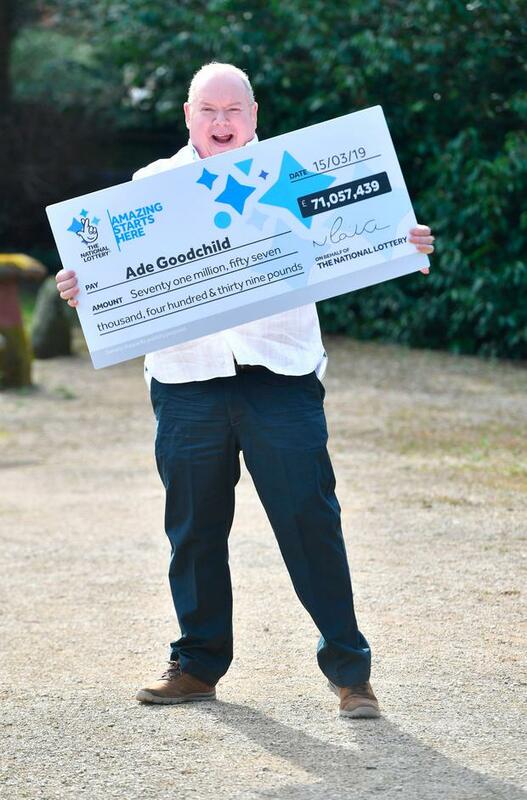 Ade Goodchild, 58, from Hereford, England wants a new house with a jacuzzi, "a few staff" and dream holidays to places such as the Grand Canyon and the Pyramids in Egypt. He swigged champagne at a four-star hotel in Great Malvern, Worcestershire, after going public with his win on Wednesday, saying: "I'm not one of these winners who is going to say this win won't change me. It bloody well will, or at least I'll give it a damn good go." He replied: "Anybody I think I couldn't have pulled before has got no chance, because I haven't suddenly become more attractive overnight - just my wallet has." "I've been doing the lottery since it started, and even then, before that I thought, 'I'll be rich one day, I'll have to be lucky to get it'," he said. It comes after Patrick and Frances Connolly scooped £114.9 million from the draw on New Year's Day. Staff at the Co-op, where Mr Goodchild bought the ticket on Friday ahead of the draw, said he was a "genuinely nice, lovely guy". Team manager Sarah Swain said: "It's great that it's happened to a good, normal bloke. "He's just a regular customer, he lives round the corner, he's been coming in here at least six years and he's always chit-chatting and smiling. "He's either knackered after a long day at work or he's off to start his shift. He usually has a lucky dip." The 35-year-old added: "It's exciting it's happened in our little shop. "We had a £300,000 winner on a scratchcard, but that was years ago. "I just hope he remembers I always say to him 'don't forget me when you win your millions'." Store customer Dorothy Summers, of Whittern Way, Hereford, said: "I think it's great, and he lives in our street. "I know him to see him, and am very happy for him." However, the 67-year-old grandmother - who usually plays the National Lottery - added: "I always buy a ticket but I won't do now because there's no chance anyone else will win that sort of money round here." Mr Goodchild worked at Special Metals Wiggin Ltd, across the city from where he lives, but on Wednesday he joked his only reason for returning would be because he "left a fiver in my locker".